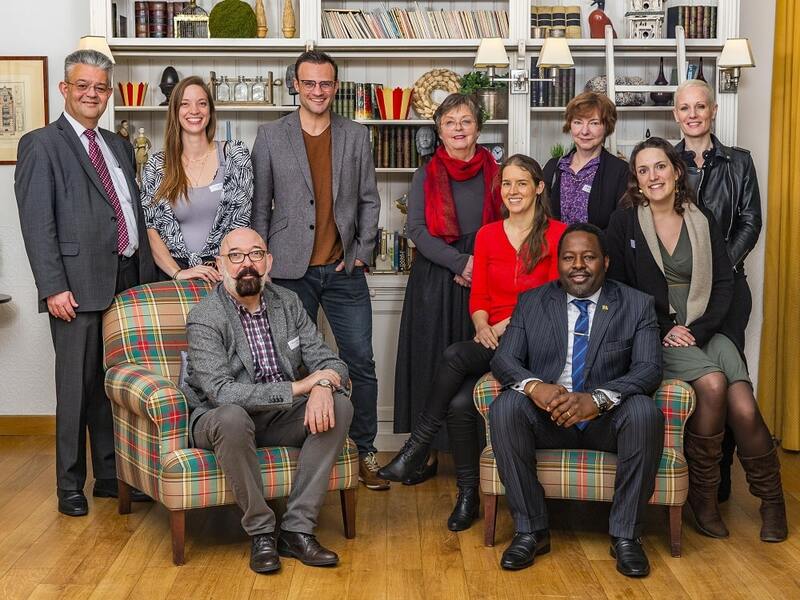 The General Meeting of the Belgian Chamber of Translators and Interpreters was held on March 16, 2019, at the Hôtel Léopold in Brussels. As is his wont, it was the President, Guillaume Deneufbourg, who opened proceedings. In his address, he went over the activities carried out throughout the whole year and stressed that the results harvested were the dividend of teamwork and reflected a good understanding amongst the Board of Directors. A new feature this year was a professional photographer being enlisted to capture the mood of the moment, and who set up a studio in order allow all the members present to obtain a ‘Pro’ photograph. This announcement delighted the members, who jumped at the chance to have their portraits taken during dinner. According to a now well established habit, the new members were then presented and signed the CBTI’s code of conduct. After the customary formalities, Agnès Feltkamp presented the annual report, which covered all the activities and projects overseen by the association during the previous year. Opinion was unanimously positive concerning the work accomplished: the CBTI set in train numerous initiatives and arranged many training programmes on a variety of themes, much to the satisfaction of the members, who did not fail to underline their quality. The figures also confirm the professional association’s fine performance, as the number of its members – for the first time in the history of the CBTI – exceeded the symbolic mark of 500. Laurence Nys, the treasurer, then presented a statement of accounts. With a financial situation set fair, the result of both lower expenditure and an increase in revenue, the members also welcomed the information presented. The Chamber’s auditors signed off on the 2018 accounts, which were then approved. As far as the 2019 budget is concerned, a proportion of the revenue will be invested in a new online platform, which will in particular enable automatic subscription management. As was the case for the accounts, the budget was approved unanimously. This year, several administrators were up for re-election, including the President, Guillaume Deneufbourg. He was to be unsurprisingly elected for a two-year period, with 98.5% of the votes. 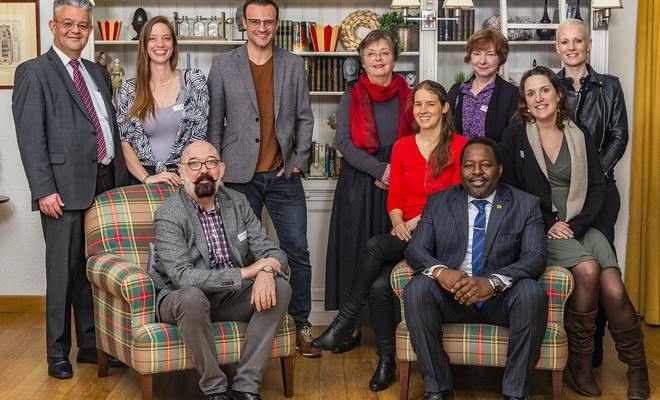 Camille Collard, Isabelle Collard, Agnès Feltkamp, Doris Grollmann, Laurence Nys, Patrick Rondou and Helena Vansynghel, a new candidate, were eager to present their ambitions for this new mandate, devoted to the theme of continuity and stability. All of them were comfortably elected. The following points on the agenda were also approved without debate: keeping the annual subscription to €200, designating three account auditors and three members of the Disciplinary Council. The floor was then given to the meeting, which could offer its opinions on various subjects, such as the usefulness of an enquiry into the translation and interpretation market, carried out by Camille Collard, the need to have a more well-defined procedure to manage the organisation of training programmes and the revision of the freelance translators’ vademecum. After having asked the interpreters present to gather together in the afternoon for the meeting of the Interpreters Sectoral Commission (CSI), the President brought the meeting to a close and invited the members to join him for lunch. A pleasant walking lunch, which was first and foremost the opportunity for an enjoyable moment in which the association’s members could talk to each other.